In 2011, Counsilman-Hunsaker conducted an analysis of the current condition of the pond and water features located at Lincoln Park Civic Commons. 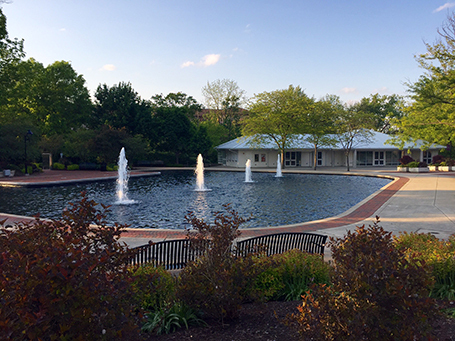 The pond was constructed in 1987 with substantial updates over the past several years. The existing pump room and pump equipment were significantly outdated and beyond their useful life, wiring connections for the fountains lighting were faulty and a new low voltage system was needed to make the lighting code compliant. The Counsilman-Hunsaker staff conducted a walk-through inspection to collect baseline data and observe the current conditions. Needed repairs were identified with a summary report with recommended changes and an opinion of probable cost to remediate and upgrade moving forward. Pleased with the results from the audit, the city once again retained Counsilman-Hunsaker to re-design the pond to its original glory. The 15,000 sq ft. pond is the centerpiece of the park and has served as an iconic backdrop for decades. 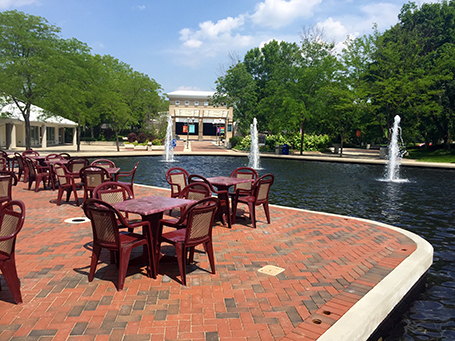 The new fountain features include high-efficiency mechanics and lighting. In addition, a new patio was designed surrounding the pond for gatherings and special events such as weddings, proms and graduations.